I am by far not the perfect hostess. We tidy up, but my house is a house lived in and I can’t hide that. Our kitchen table is from a garage sale and our food budget is limited. I say all of this because some people think they need to have the perfect setup to host. Not true. Our kitchen table and the food that goes on it isn’t all that fancy. The truth is, 95% of people don’t care about that stuff. 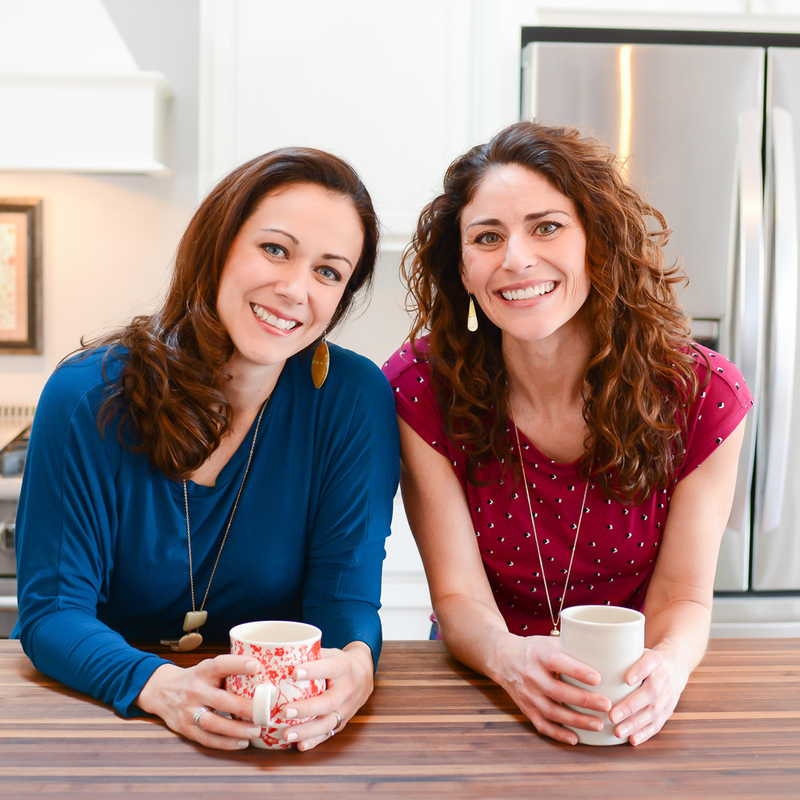 The important thing is that they feel welcome, loved, and nourished in our home. When you open up your home to someone, you are in a way opening up your life to them. People respond to THAT, not the number of courses a meal may have. Don’t stress yourself out. Focus on the people, not on the performance of your meal and home. Because I am so often making meals for groups of people, I’m constantly on the lookout for meals that are tasty AND feed large groups. 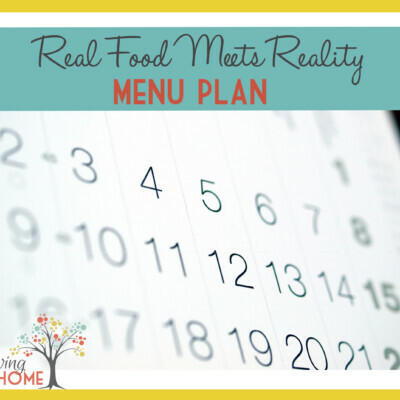 I created this round up of meal ideas more for my sake. I needed a reference to go to when I have a group coming over and my only idea is spaghetti or pancakes. Hopefully it will prove to be useful to you too! 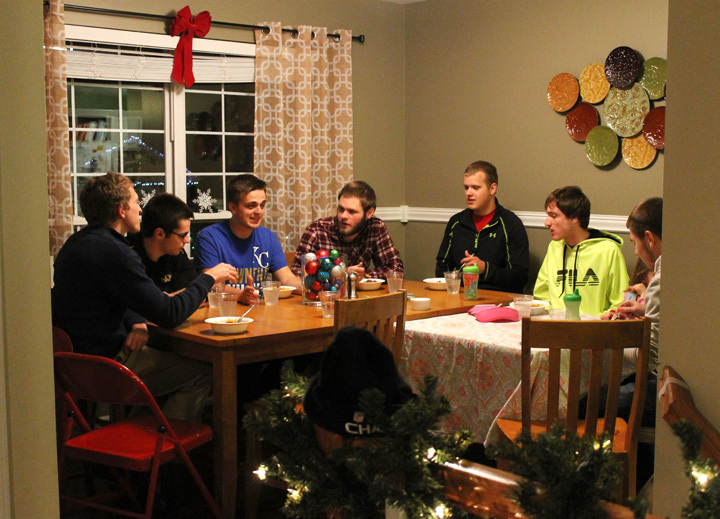 Lastly, one thing that makes a group meal SO fun is having a fun question that everyone answers. 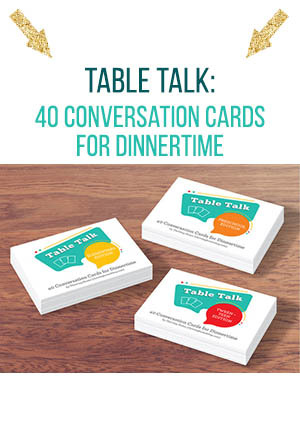 We’ve designed Table Talk Cards to give you some great ideas. 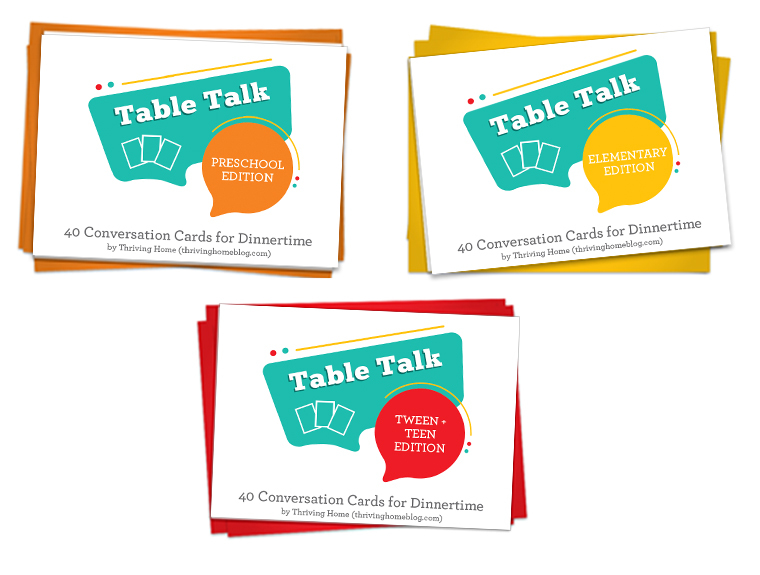 While these were designed with kids in mind, I have no doubt that many would be great conversation starters. I’d recommend the Tweens & Teens edition if you have all adults. This recipe makes a TON. 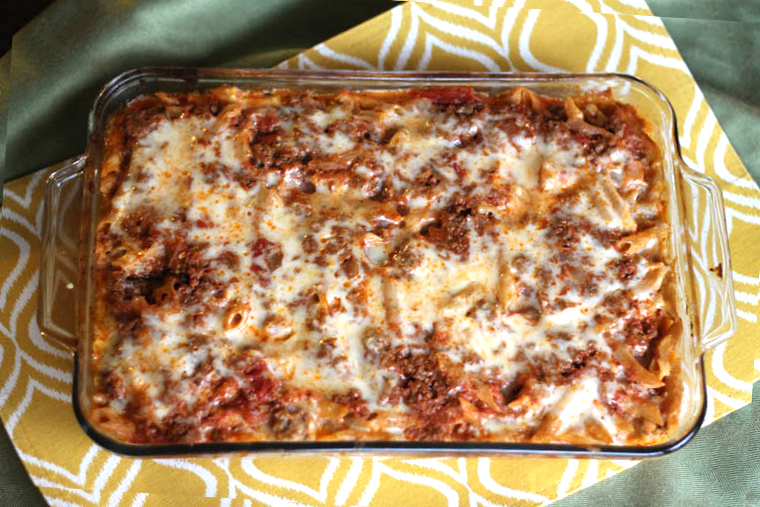 Groups love the hearty, beefy, cheesy pasta. 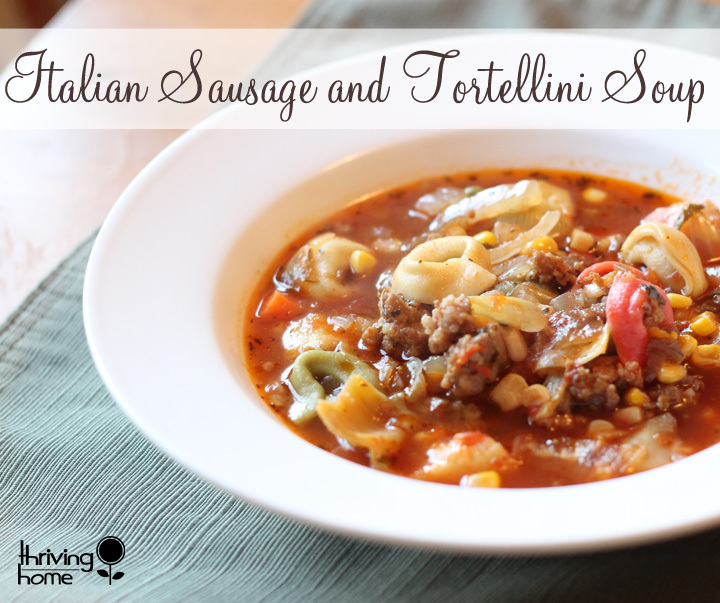 Serve it with some garlic bread and a salad and you’ve got a great meal for your next group. When I’m not hosting groups, I assemble this pasta, divide it in two, bake one, and freeze the other. It makes a GREAT freezer meal. Just be sure to undercook the noodles a tad if you’re going to freeze it. 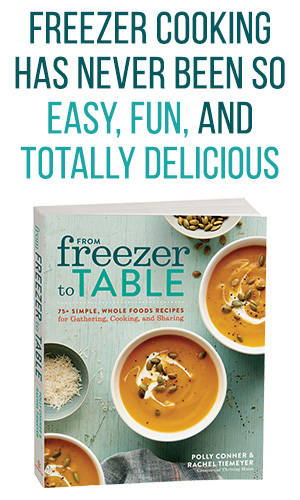 Here are 70+ other great freezer meals! 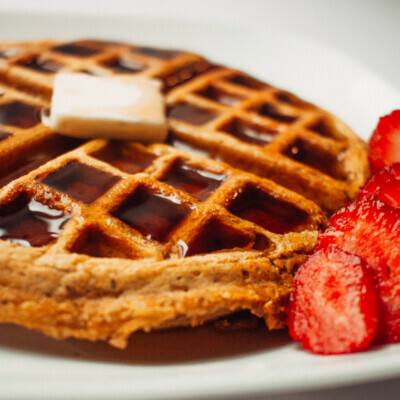 This is thinking outside the box a bit but it’s always fun to do a “Breakfast for Dinner” themed meal. This Cinnamon Roll Recipe makes a huge batch and is paired perfectly with some scrambled eggs, a breakfast quiche, or bacon. Add a fruit salad and you’ll have a dinner to remember. Lets see. 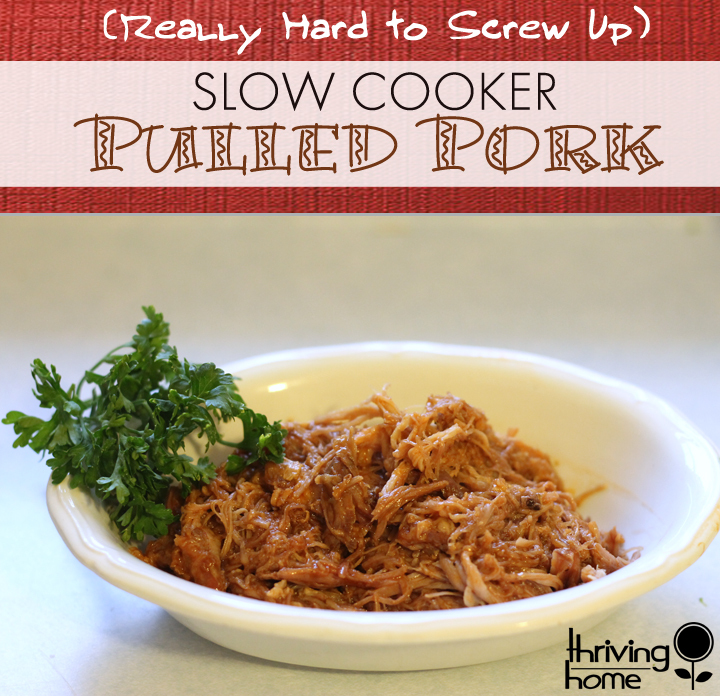 How do I communicate the deliciousness of this flavorful pulled pork recipe? Should I elaborate on the tangy-rich-mexicany flavor that comes with each bite? Should I explain how great it is in a tortilla combined with guacamole, lime juice, sour cream and other Mexican fixins? Should I tell you how super easy it is to make AND that the recipe yields a ridiculous amount of food? Or what about the fact that it’s made in the slow cooker OR the Dutch oven. I think you get the point. This recipe is a home run. Here is where you can find meat you can trust by the way! 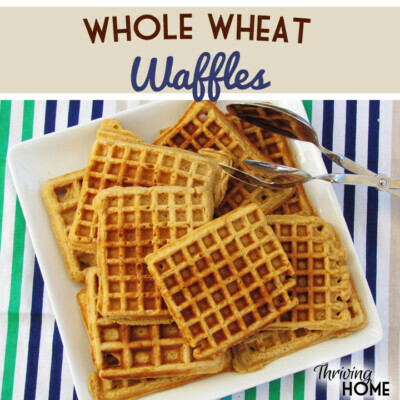 These truly are one of my go-to group recipes. They are cheap and easy to make in mass quantity. AND adults love them. Kids love them. Everyone loves them. I can’t tell you how many times I have been asked for this recipe. 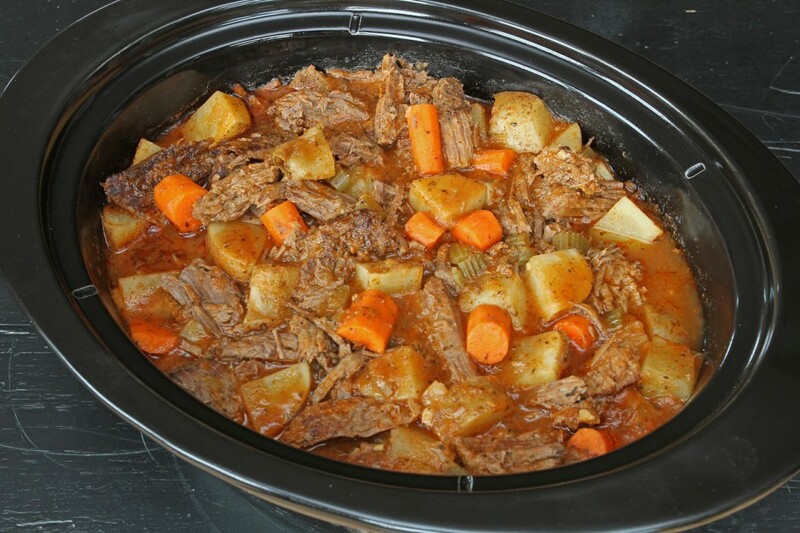 To make this a meal for large groups, simply double the portion in the slow cooker. It’ll cook for the same amount of time and you’ll have twice as much to feed people! I always always always double this recipe when I make them and freeze one for later. Here are what containers we use and recommend when freezing meals. 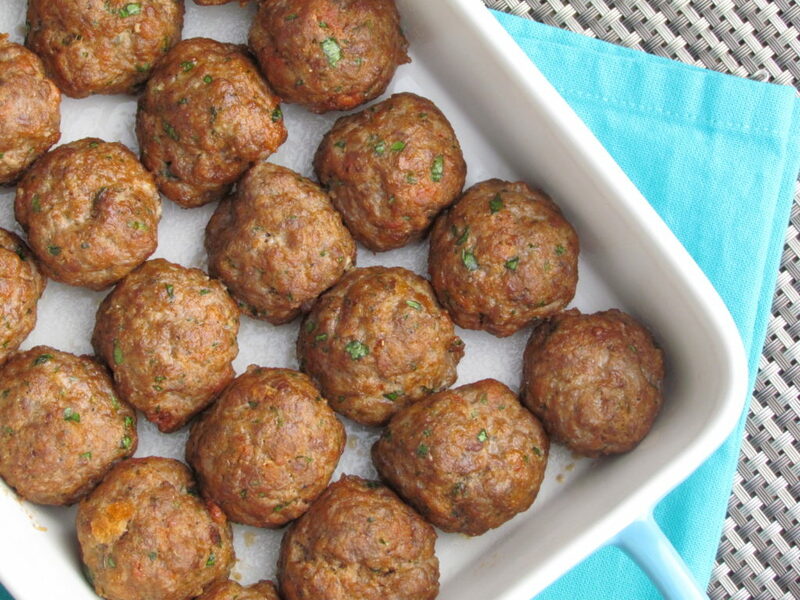 Meatballs are so easy to make lots and lots of. You can use them to put over spaghetti or stretch them even further by putting them in sub sandwiches. These are pretty cost efficient as well. If I had to guess, this is in the top 5 recipes I have made most frequently in my home. My husband wants it ALL. THE. TIME. It also makes a big ol’ batch. AND it’s really filling. Serve it with some tortilla chips and with shredded cheddar cheese and you’re people will be happy campers. 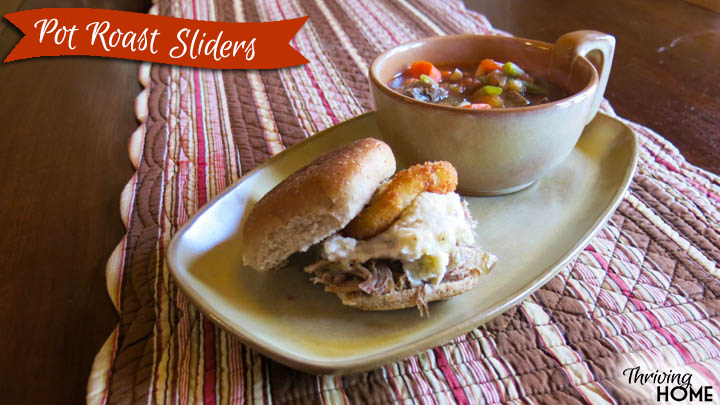 We loved this recipe so much that we even adapted it to be made in the slow cooker. 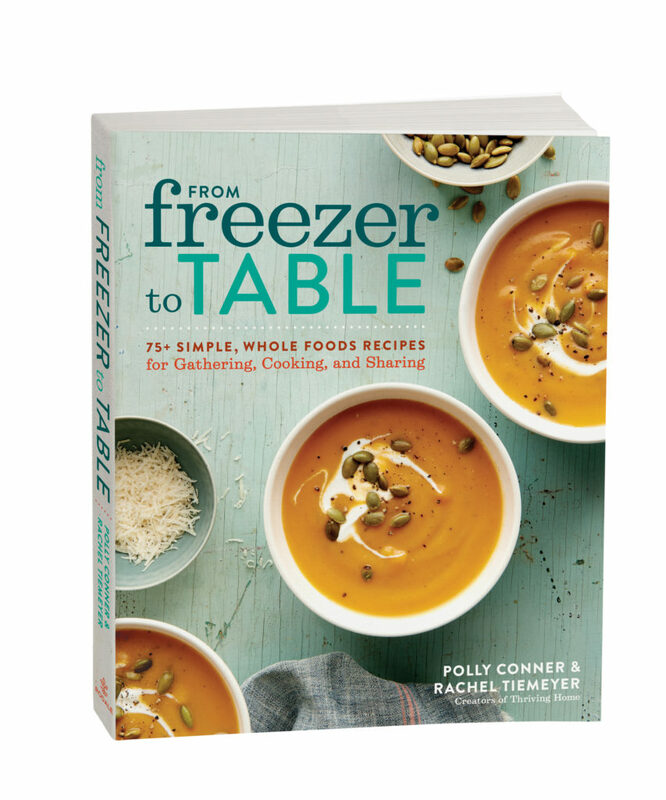 That recipe can be found in our cookbook, From Freezer to Table. I really like this soup for a lot of reasons. The flavor is deep and interesting. Although, if you have youngsters or picky people, you may want to consider leaving out the artichokes. It’s filling and makes the house smell awesome. A great one to make in the fall or winter! 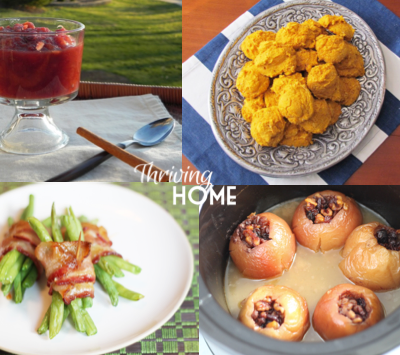 This recipe has been one of our most popular blog recipes for a long time. Probably because it’s so easy to make and everyone likes it. After baking the casserole, serve it over some pasta. For a group, I’d recommend doubling it to make enough for a 9×13 dish. 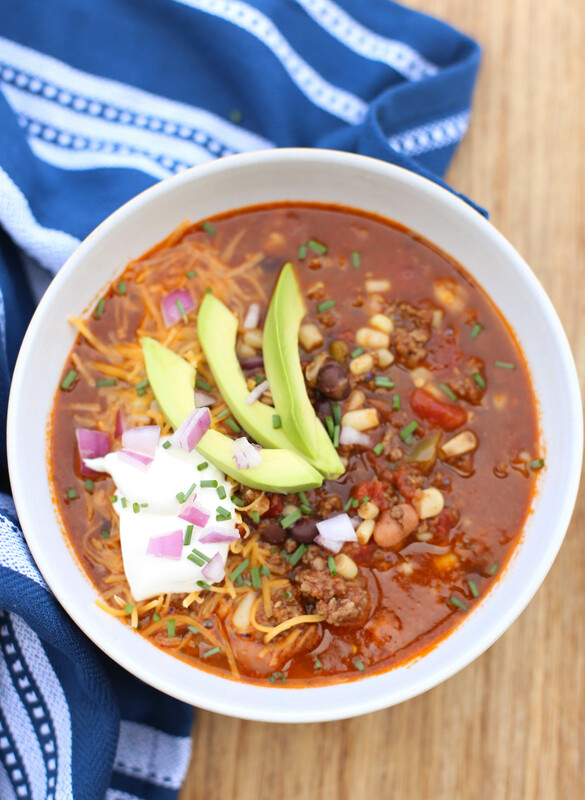 This recipe is in our free e-cookbook, Top 10 Easy Freezer Meals. You can download this, print it off, and have it for future reference when looking for great freezer meals. 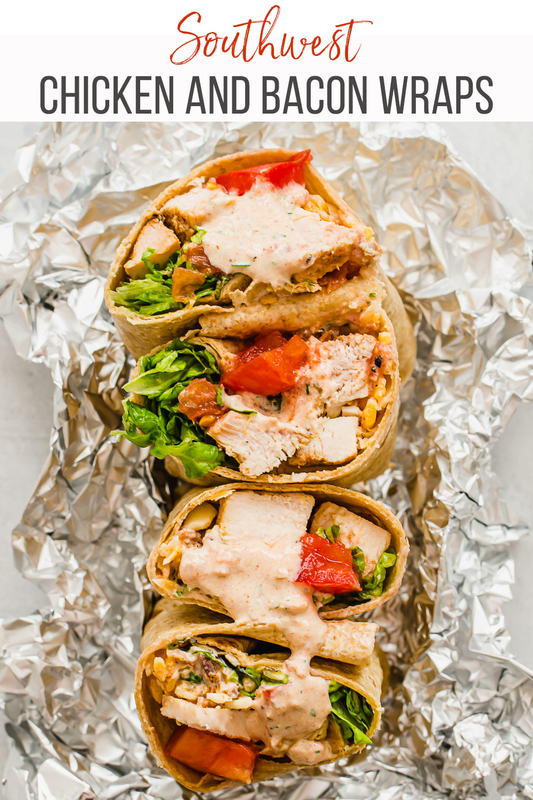 Bacon, marinated grilled chicken, two kinds of cheese, lettuce, and tomatoes wrapped in a tortilla with ranch salsa sauce. What’s not to love about the Southwest Bacon and Chicken Wrap? I love creating meals that people can customize to their liking. It’s easy to double the chicken and other ingredients and just lay out an assembly line. 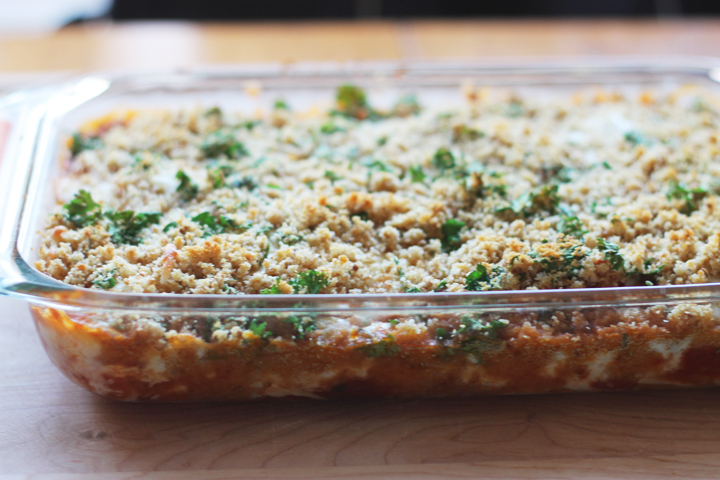 This fake-out lasagna is a dinner time favorite in my home. It’s very easy to make, super filling, and is freezer friendly. Kids love this meal. Who we kidding, all ages love this meal! This is kind of a fun idea for an informal gathering. 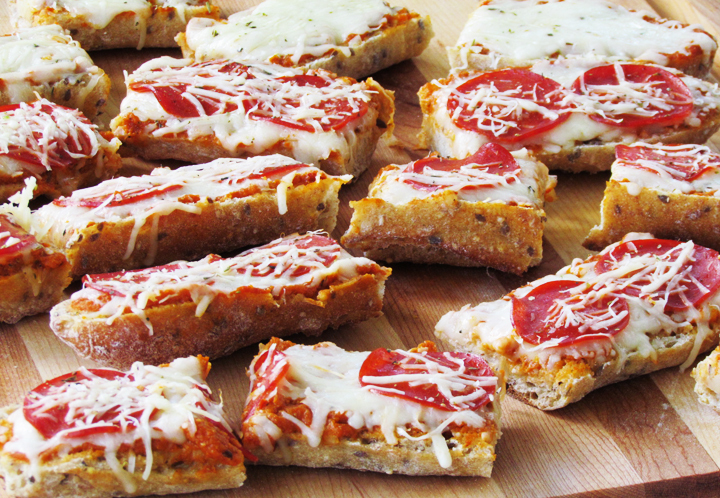 Just lay out some whole grain baguettes and let people make their own “pizza”! 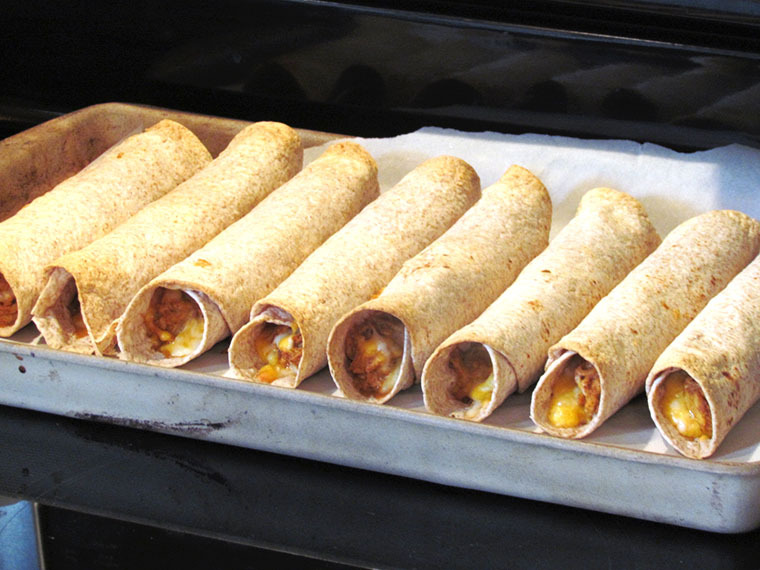 Here’s my husband’s and my favorite enchilada recipe. 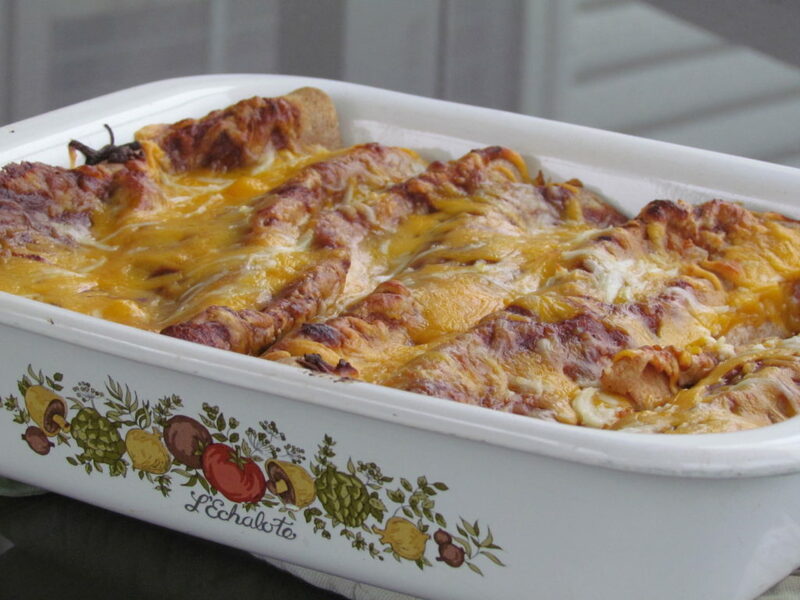 If you want to go lighter on the cheese, these enchiladas are really quite good for you. With the chicken, beans, vegetables, and whole wheat tortillas, you’re getting some great lean protein, fiber, vitamins and minerals. If you’re making this for kids, you may want to pull back on the spice a bit. Double it for a large group! I realize there are many paths to an excellent homemade roast, but this one I researched and have tested MANY times over the years. This real food Pot Roast, along with some Homemade Wheat Sandwich Bread to sop up the sauce, might well be my favorite comfort meal of all time. Want to make that pot roast stretch a bit longer? Use it to make sliders! 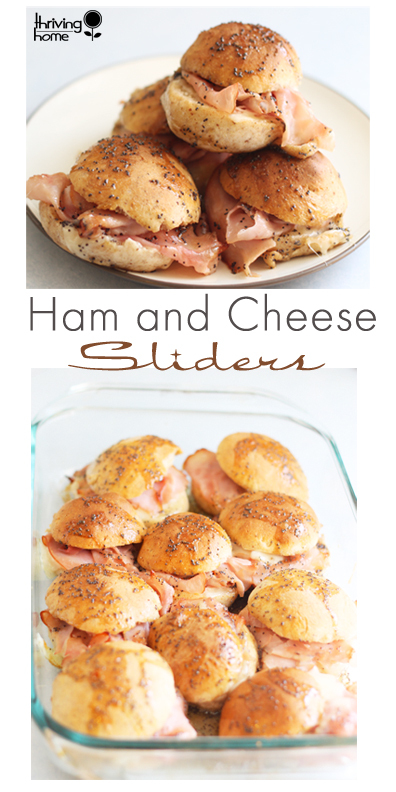 This sounds a little strange but make a sandwich using the meat and mash potatoes. Top it off with an onion ring and you’ll have a tasty sandwich that can feed quite a lot of people! 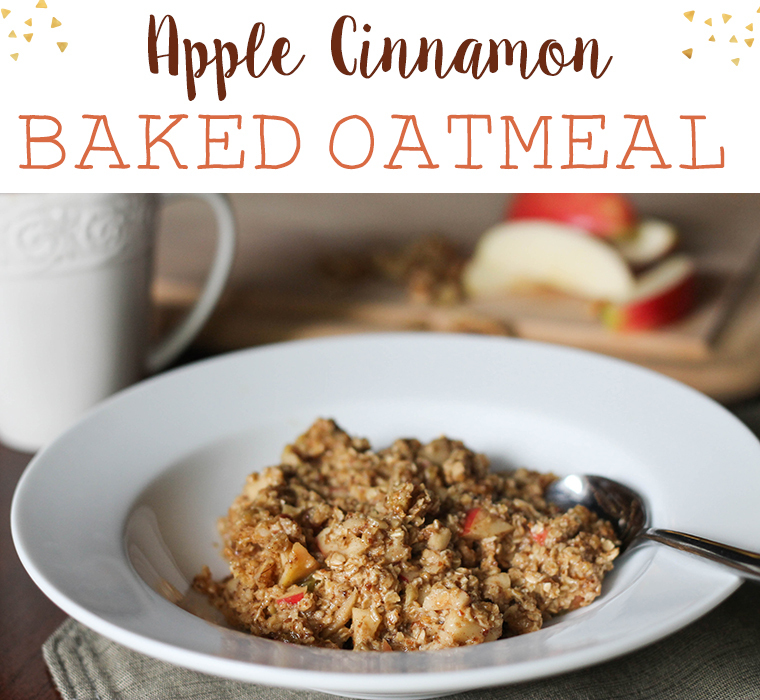 Here’s another breakfast idea for ya: Apple Cinnamon Baked Oatmeal. Not only are the ingredients cheap and the assembly instructions simple, but people just really love this recipe! 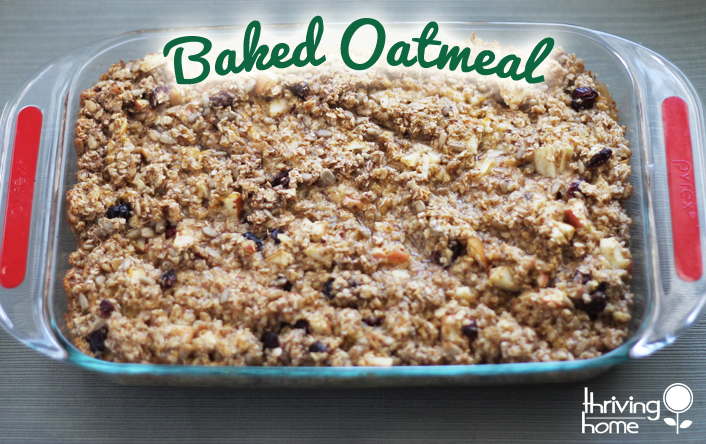 We have lots of variations of baked oatmeals on the blog. Just poke around our breakfast category in our recipe index. 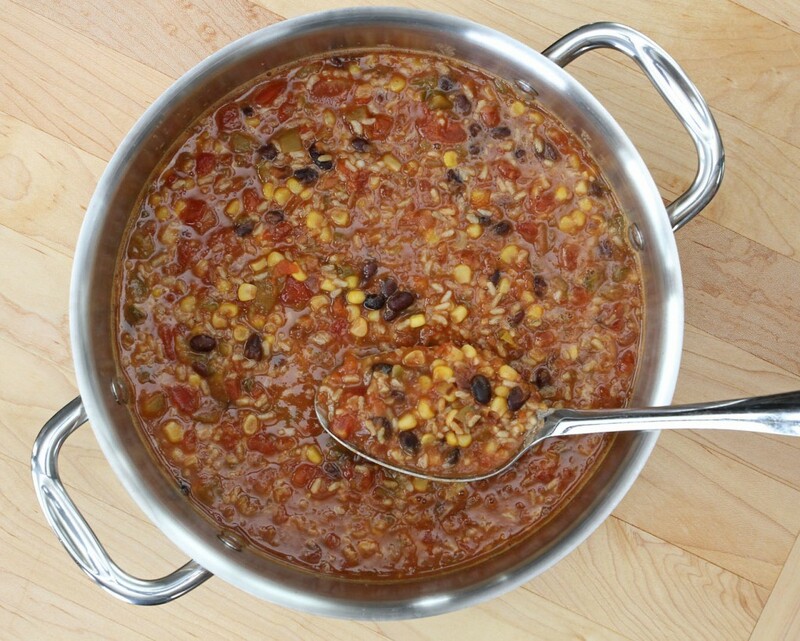 This one-pot wonder is packed with flavor, but is also vegetarian! 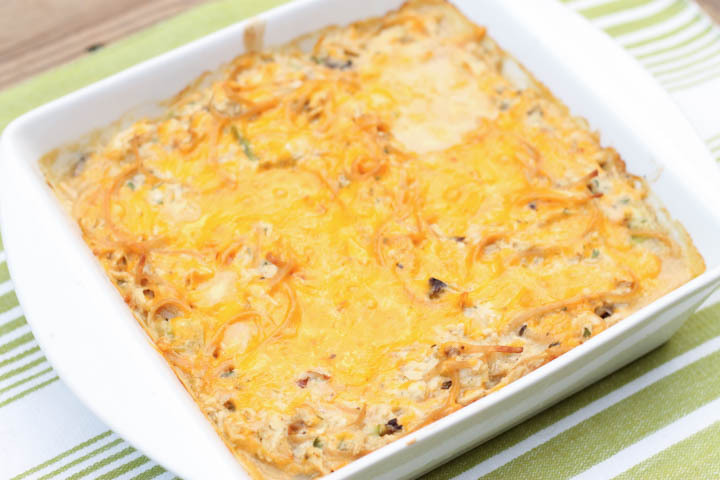 This winning combination of ingredients and flavors is sure to impress your family and friends. 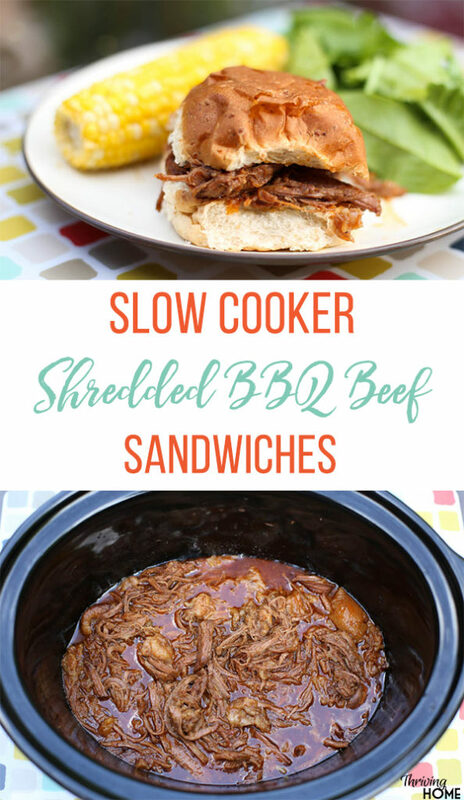 This recipe might be the easiest and very best slow cooker meal I’ve ever made for my family. 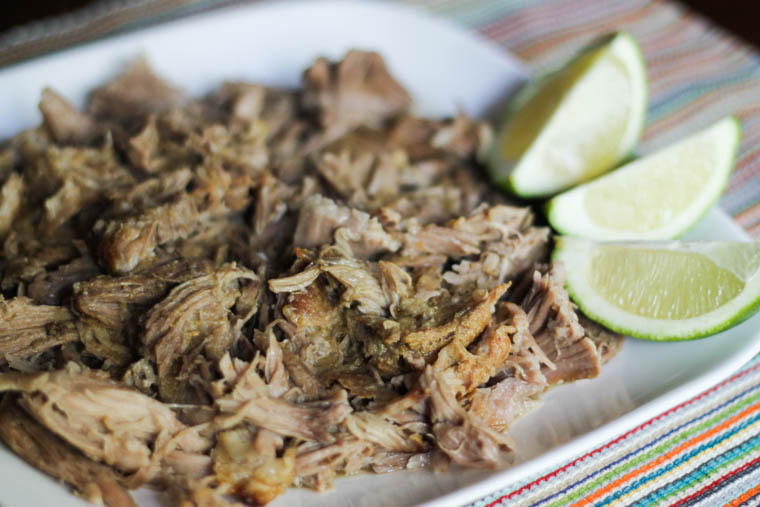 Everyone, from ages 4 to 42, devoured this tender, flavorful meat dish. 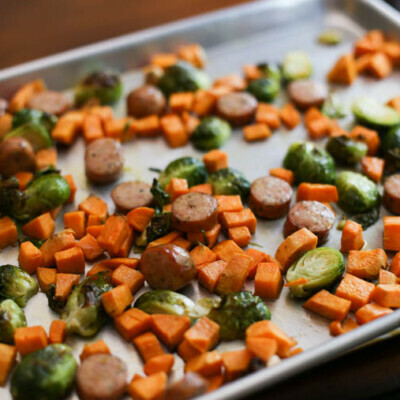 I have served it with mashed potatoes (and of course veggies and fruit), which is perfect for all that extra sauce in the crock, or Basic Roasted Veggies go well with it, too. Then, the next night we had this same Slow CookerShredded Balsamic Beef on mini wheat rolls as “french dip” sandwiches. A great idea on making this stretch for a large group. I had to include one dessert idea. 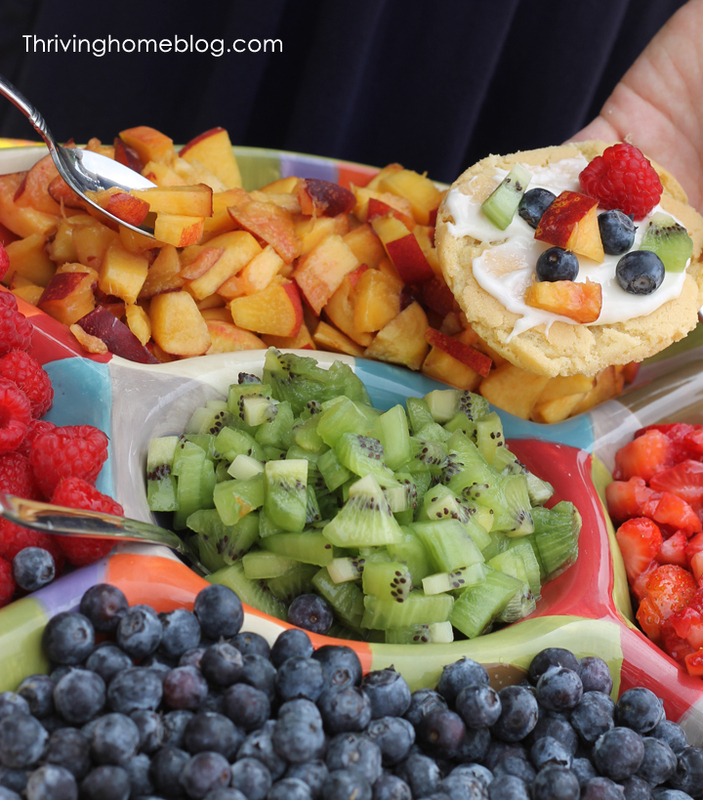 Mini Fruit Pizzas are one of my favorites to serve to a crowd. They are really easy put together and both kids and adults love them. I also like that each person makes their own so they can pick and choose what goes on their fruit pizza. It’s a fun way to wrap up a group gathering! 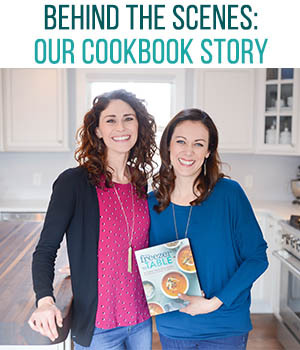 Watch our one minute trailer about our cookbook! Your life sounds just like my life! 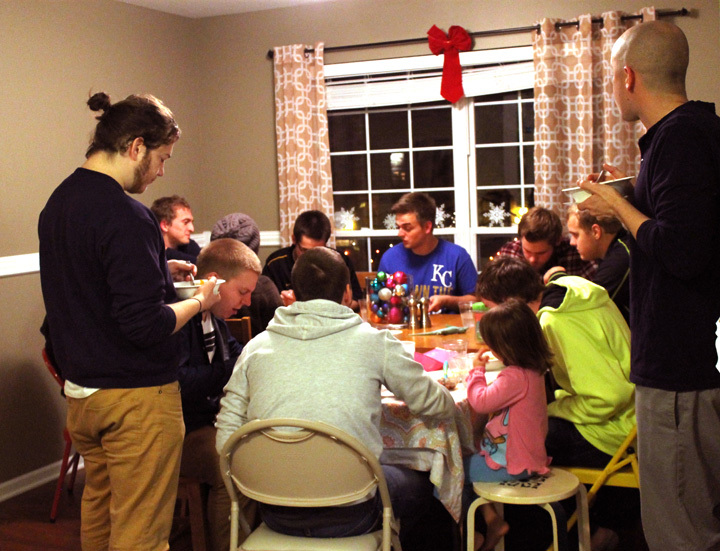 College ministry, and plenty of last minute, hungry guests (plus 5 hungry kids). Good food, lots of joy, and a messy house. Happy chaos we call it. Our church is starting Wednesday night dinner fellowship times and trying to keep the meals stress free, so these ideas are great. Thanks! Love it, Becky. Hope you find these recipes helpful! I cook at a soup kitchen in rural Michigan for 35-60 hungry people. Always looking to change it up for them for new recipes. Thanks you are my go to site. This makes my heart swell, Calleen. I LOVE knowing our recipes can be used to a wonderful end like this. Thank you for sharing and keep up the great work. 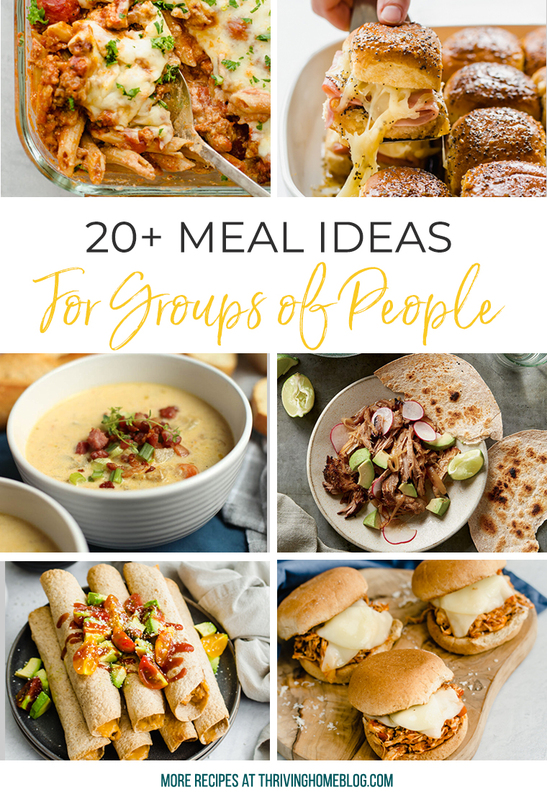 Googled meals for large groups and perused a couple of okay sites, then stumbled onto yours and- without a doubt- THEE BEST HANDS DOWN ideas for easy cooking for large groups. I plan to volunteer to cook lunches for our church group of 50-75 once a month and I absolutley loved these ideas. Thanks for sharing! Wonderful! So glad we can help. Appreciate your phrase “our house is a house lived in.” We’ve moved from a season in which the house was fairly clean and we had time to prepare special guest meals to a season of … nope. That’s even with outside help for housecleaning. Guest meals come from Costco or Trader Joe’s. And yet… people still gather around the kitchen island and the table and connect. Laughter bounces off the walls (and ceiling – it’s a 1930’s Hobbit kitchen). We live in a part of the country where community and faith are uncommon. People often don’t even know what it looks like. When they experience it, they don’t care about spotlessly clean counters (thanks be) – they are just as eager to cover them with take-out pizza boxes and gather to learn from God’s word and to care for one another. Rachel – thanks for your kind words! They mean the world. Crowded? Cozy? Potato – Potahto. Somehow a kitchen like that seems fitting for you guys. And I’m chuckling at the thought of Superhub ducking everytime. Miss you guys! There are so many recipes in this list I want to try! Also loved your advice to focus on the people rather than stressing about the details. So true!